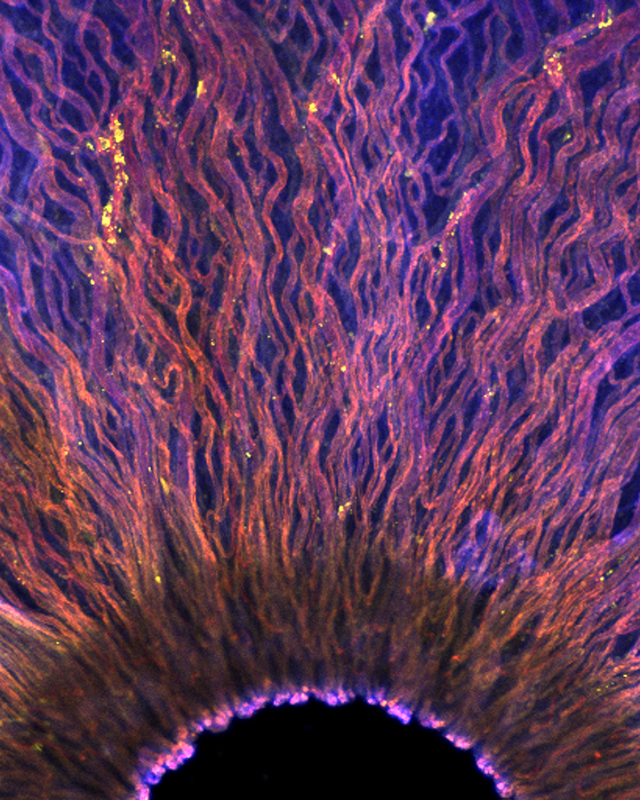 This Friday’s stem cell roundup is dedicated to the playful side of stem cell science. Scientists are often stereotyped as lab recluses who honorably forgo social lives in the quest to make game-changing discoveries and advance cutting-edge research. But as a former bench scientist, I can attest that scientists are normal people too. They might have a nerdy, slightly neurotic side around their field of research, but they know how to enjoy life and have fun. So here are a few stories that caught our eye this week about scientists having a good time with science. 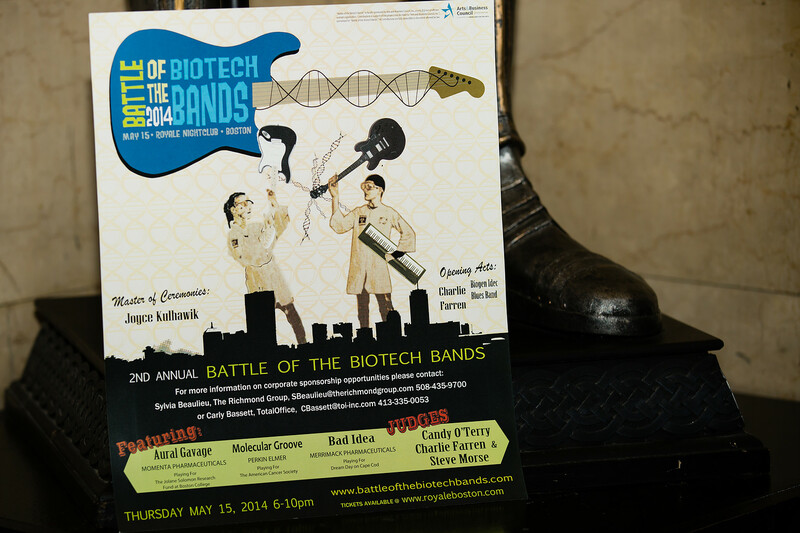 Did you know that Bruce Springsteen got his big break after winning the Biotech Battle of the Bands (BBOB)? Probably not, I just made that up. But just because Bruce didn’t hit it big because of BBOB doesn’t mean you can’t. BBOB is a fun chance for you and your labmates, or research partners, to cast off your lab coats, pick up a guitar, form a band, show off your musical chops, play before a live audience and raise money for charity. This is the fourth year the event is being held. It’s part of Biotech Week Boston, on Wednesday, September 27th at the Royale Nightclub, Boston. Biotech Week is a celebration of science and, duh, biotech; bringing together what the event organizers call “the most inventive scientific minds and business leaders in Boston and around the world.” And they wouldn’t lie would they, after all, they’re scientists. If you want to check out the competition here’s some video from a previous year – see if you can spot the man with the cowbell! It’s that time again! The “Cells I See” art contest hosted by Canada’s Centre for Commercialization for Regenerative Medicine (CCRM) and The Stem Cell Network is now open for business. This is a super fun event that celebrates the beauty of stem cells and biomaterials that support regenerative medicine. Not only is “Cells I See” a great way for scientists to share their research with the public, it’s also a way for them to tap into their artistic, creative side. Last year’s ­contestants submitted breathtaking microscope images, paintings and graphic designs of stem cells in action. The titles for these art submissions were playful. “Nucleic Shower” “The Quest for Innervation” and “Flat, Fluorescent & Fabulous” were some of my favorite title entries. There are two prizes for this contest. The grand prize of $750 will be awarded to the submission with the highest number of votes from scientists attending the Till and McCulloch Stem Cell Meeting in November. There is also a “People’s Choice” prize of $500 given to the contestant who has the most numbers of likes on the CCRM Facebook page. The deadline for “Cell I See” submissions is September 8th so you have plenty of time to get your creative juices flowing! The 2016 Grand Prize and People’s Choice Winner, Sabiha Hacibekiroglu, won for her photo titled “Iris”. San Francisco Giants fans who attended Tuesday’s ball game were in for a special treat – a science treat that is. Researchers from the Gladstone Institutes partnered with the SF Giants to raise awareness about the power of stem cells for advancing research and developing cures for various diseases. 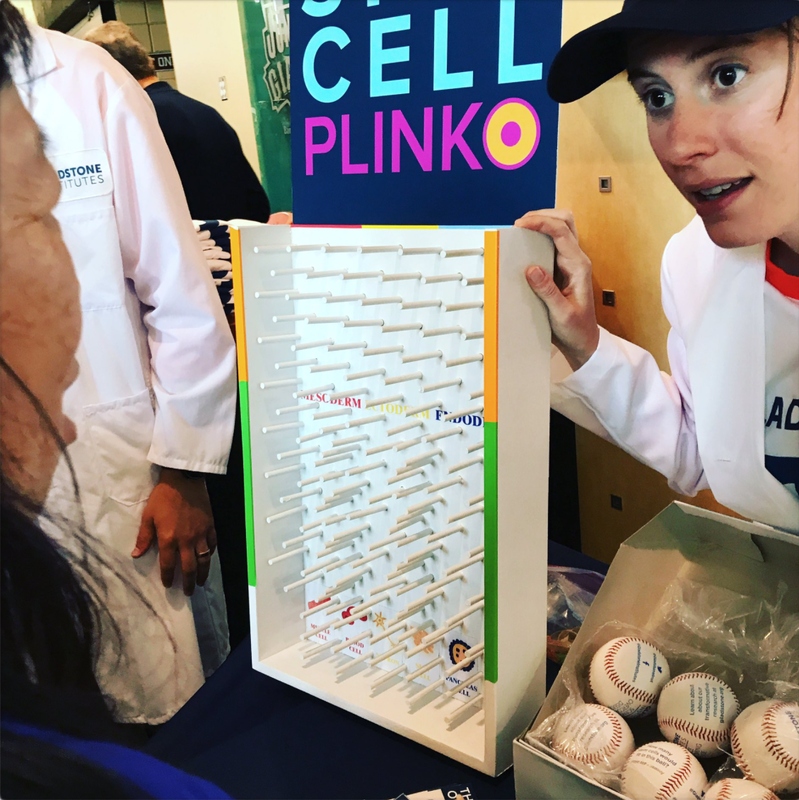 Gladstone PhD student Jessica Butts explains the Stem Cell Plinko game to a Giants fan. 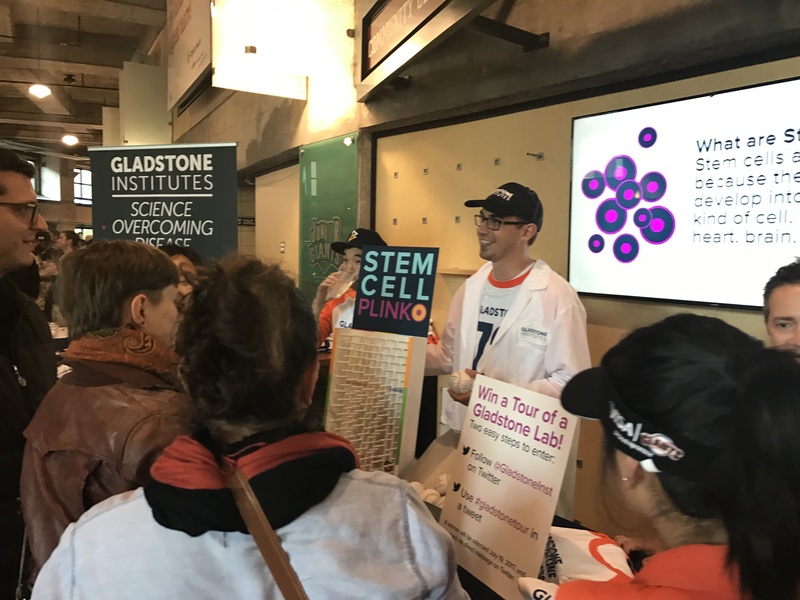 The Gladstone team had a snazzy stem cell booth at the Giant’s Community Clubhouse with fun science swag and educational stem cell activities for fans of all ages. One of the activities was a game called “Stem Cell Plinko” where you drop a ball representing a pluripotent stem cell down a plinko board. The path the ball travels represents how that stem cell differentiates or matures into adult cells like those in the heart. The Gladstone “Power of Stem Cells” event is a great example of how scientists are trying to make research and science more accessible to the public. It not only benefits people by educating them about the current state of stem cell research, but also is a fun way for scientists to engage with the local community. And as if all that wasn’t enough, the Giants won, something that hasn’t been happening very much this season. Gladstone scientist dropping stem cell knowledge to Giants fans.